Finding The One can be tricky, and Jenna is determined to make sure Celeste gets it right this time around. Not that Jenna’s an expert. She’s still trying to sort out her own love life. But if both sisters listen to their hearts, eventually they’re bound to discover that life—and love—is good at the beach. 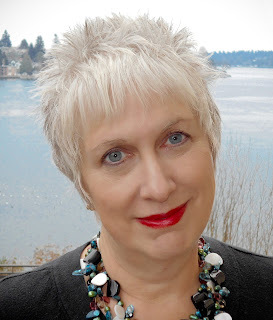 One of the things I most enjoy about Sheila Roberts' writing is how she creates a wonderful sense of community in her series. That community might be one of the reasons why The Summer Retreat left me feeling a bit like the new girl in town. You know, the one who doesn't know people's back stories or the inside jokes that have everyone chuckling? 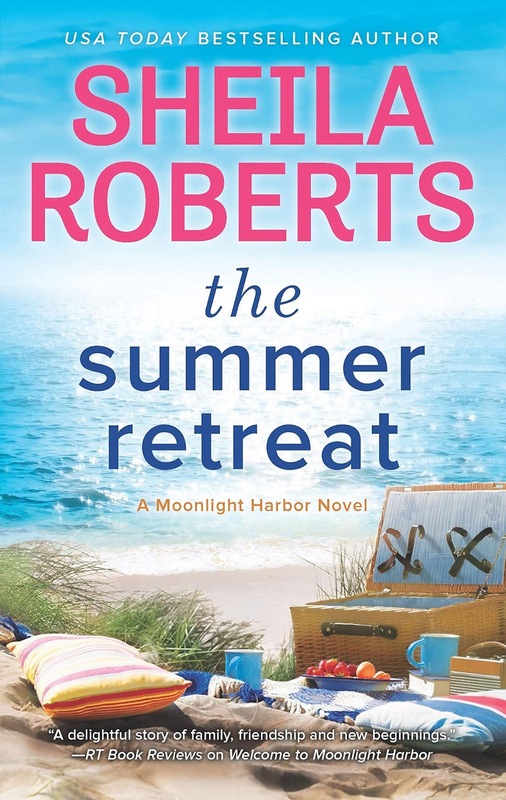 It's the third book in Roberts' Moonlight Harbor series and I haven't yet had time to read the first two. 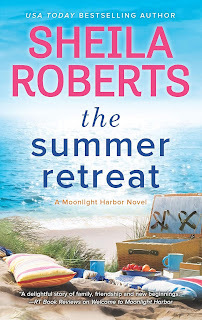 As Roberts' characters continue to evolve throughout the books in the series, I have a feeling I would have been less confused and had a greater appreciation for who and where the characters are in their journeys had I read the books in order. Which I will do soon and recommend readers new to the series do as well. I hope we continue to see more of Celeste, the primary focus of this book, as the series continues. She still has more growing to do and I'd enjoy seeing that play out over the course of the books. Her sister, Jenna, also has a storyline that continues to evolve and I'm very interested to see what happens next with the two men in her life. And, of course, there are other citizens of Moonlight Harbor still searching for their perfect mates and a "mean girl" who might turn out to be not so much mean as misunderstood. If you're looking for a meaty novel with complex characters and deep emotion, this book may not be your cup of tea. If, on the other hand, you're in the mood for an easy, breezy summer story with a town full of quirky characters, some laughs, a sisterly dynamic, a cranky mystery writer, and an adorable rescue dog, The Summer Retreat should be a fun addition to your summer reading list. How good are Mary Burton's books? Let me put it this way. 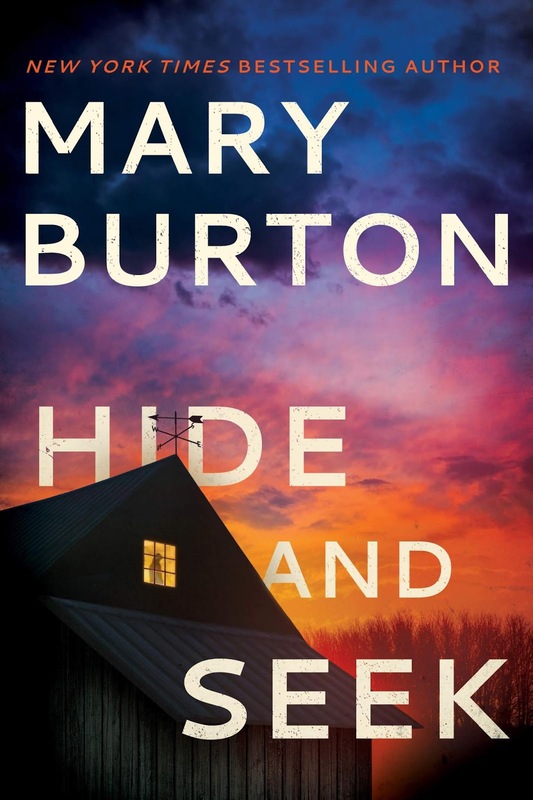 When I finished reading Hide and Seek (in one sitting) at 10:00 PM, I was so deeply invested in Macy that I had to know what had happened to her before Hide and Seek began. I immediately bought, downloaded, and began reading Cut and Run, the 2019 RITA® finalist in which Macy's story begins. I was unable to put it down. I finished it at 3:00 AM. That's how good Burton is. 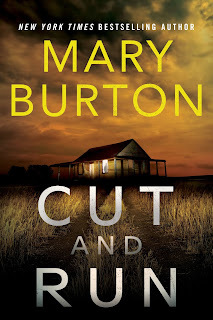 One of Mary Burton's many talents is creating intriguing, relatable characters. I was drawn to Macy from the first pages of this book and the more I learned about her the more invested I became in her success and happiness. 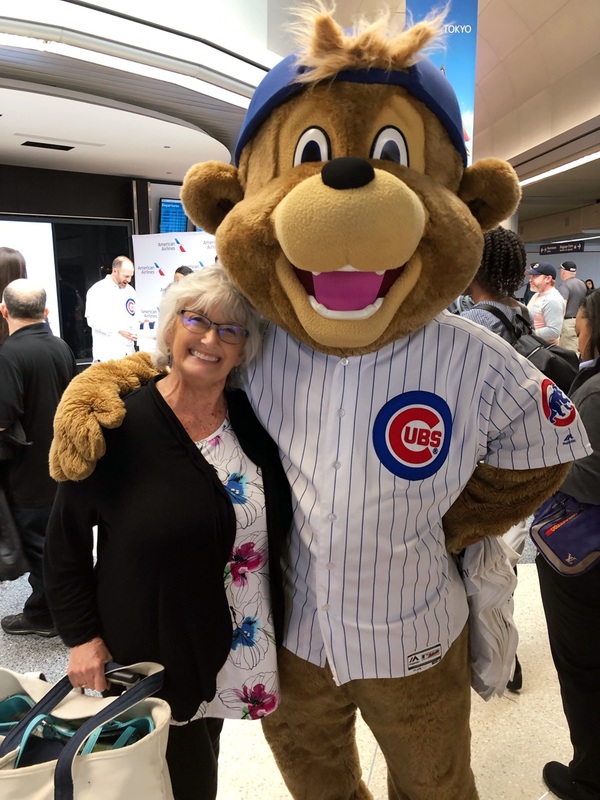 But Macy wasn't the only character for whom I was cheering. There's Nevada, the man with whom she shares a past and, possibly, a future. He's one of the good guys and I adored him. They have sizzling chemistry in the bedroom but are equally well matched in the office, working together as a team, with trust and respect. I love when a couple has each other's backs. It isn't only the main characters where Burton focuses her character-building strength. There are several secondary characters who are fully developed, engaging my emotions in both positive and negative directions. As good as the author is at creating protagonists who win me over, she's equally adept at creating villains who are pure evil. But, even more fun for this reader, she weaves characters in and out of her stories in such a way that rarely do I figure out who the real villain is until she chooses to reveal them. I'm pretty good at solving mysteries so when an author can keep me guessing until she chooses to tell me who it is, you can bet I'll return again and again each time she releases a new book. Hide and Seek is a terrific book on its own, however, I do believe you'll have a greater appreciation for Macy's character with the understanding that comes from reading her twin sister Faith's book, Cut and Run, first. Both novels earned an enthusiastic 5 stars from me. Some of you may recall that last October I attended the Avon KissCon event in Atlanta. That event, like all KissCons before it, consisted of a get-to-know-the-authors panel session followed by a book signing and a VIP reception. There were eight Avon and Harlequin authors in attendance and the entire event took place over the course of a single afternoon and evening. 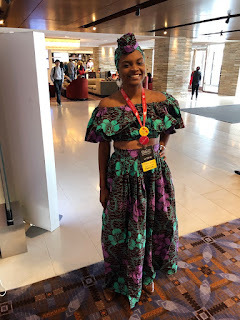 A few months later, when Avon announced they were taking KissCon to the next level with a full three-days of events and 30 authors I knew I had to attend. I'm happy to report that KissCon Weekend Affair in Chicago was everything I could have anticipated...and more! Here are a few highlights. 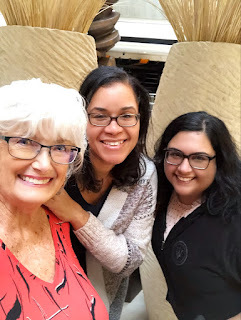 You know your weekend is off to a good start when you run into three of your favorite authors your first night there and they graciously pose for a photo. 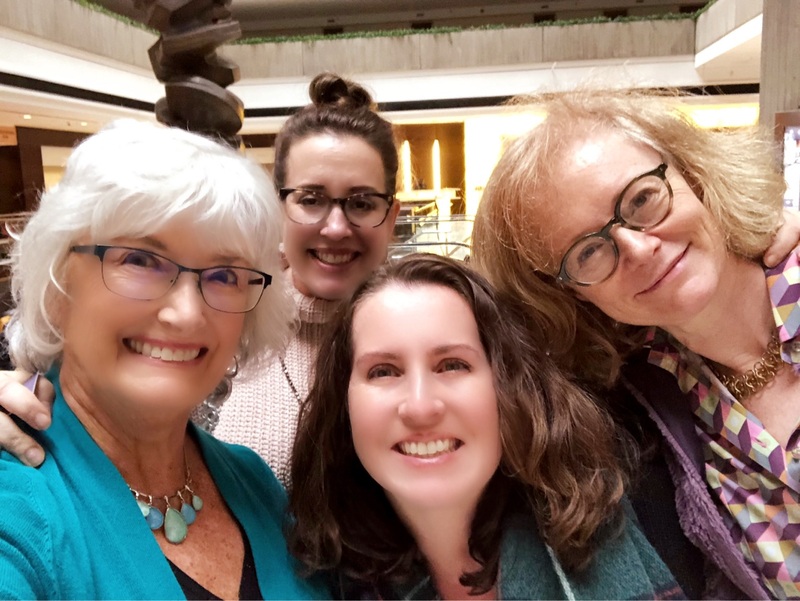 With Julia Quinn, Sophie Jordan, and Eloisa James. Romance readers are the friendliest people around. 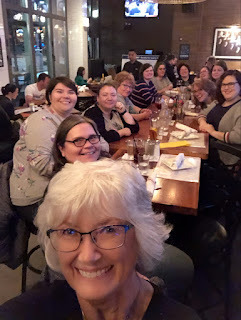 Lots of out-of-towners arrived Thursday so we rounded up a group of fellow readers for dinner. By the end of the evening, strangers from around the country had become friends. Happiness is discovering you're standing in the hotel check-in line directly behind two newly discovered favorite contemporary romance authors: Mia Sosa and Nisha Sharma. I adored Sosa's Love on Cue trilogy (read my 5-star review of Crashing Into Her). If you follow me on Instagram, you probably saw my 3:00 am post about Sharma's contemporary romance debut, The Takeover Effect. So, so good. Twenty-three breakout sessions Friday and Saturday provided plenty of laughter, information, and fun. 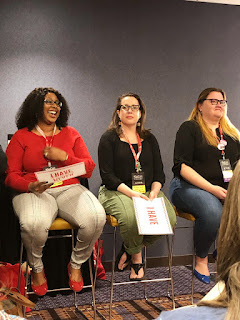 The "Never Have I Ever" speed round with HelenKay Dimon, Tracey Livesay, Sarah MacLean, Julia Quinn, and Jill Shalvis had us rolling. 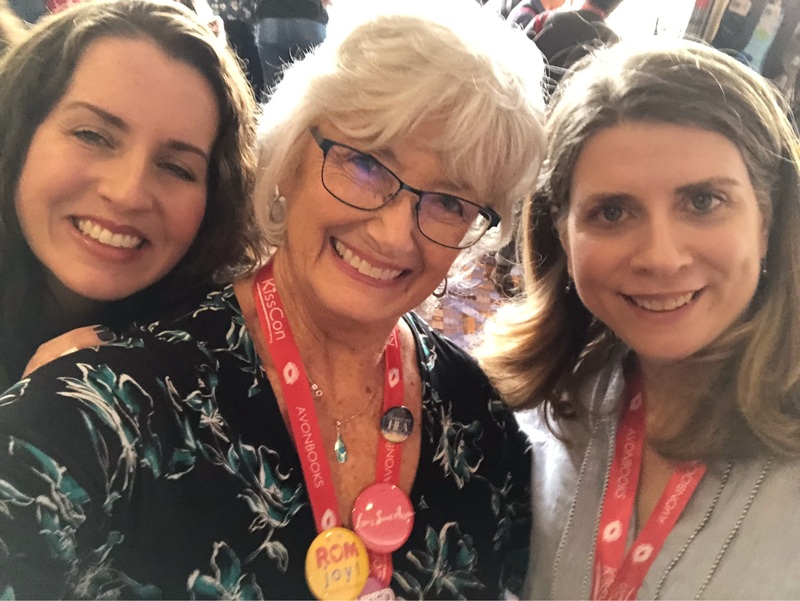 Avon has done a wonderful job of creating an open, friendly, and intimate atmosphere in their KissCon events where readers can comfortably chat with favorite authors at ice cream socials, movie screenings, dance parties, or while leisurely strolling through the hotel. Random photo ops were found everywhere! 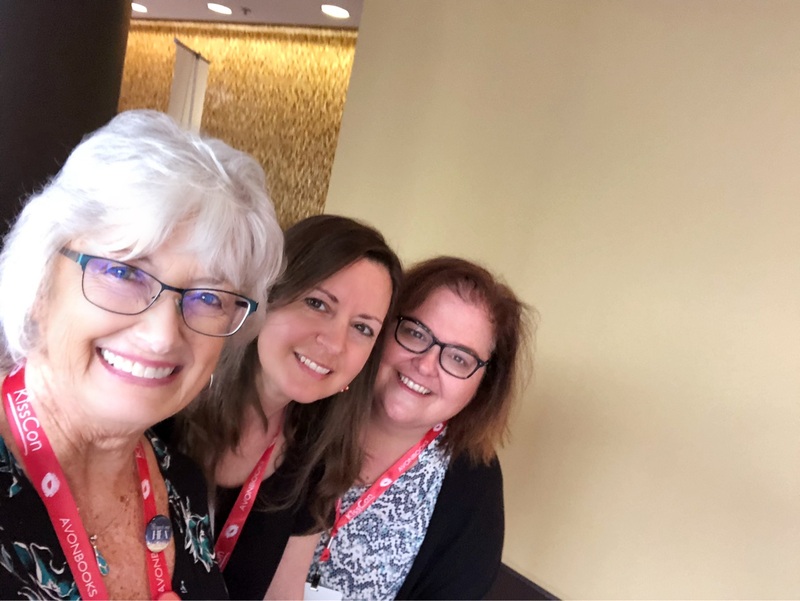 Here I am with Sophie Jordan and Joanna Shupe. And here, with Caroline Linden and HelenKay Dimon. I adore romances and I equally adore food. 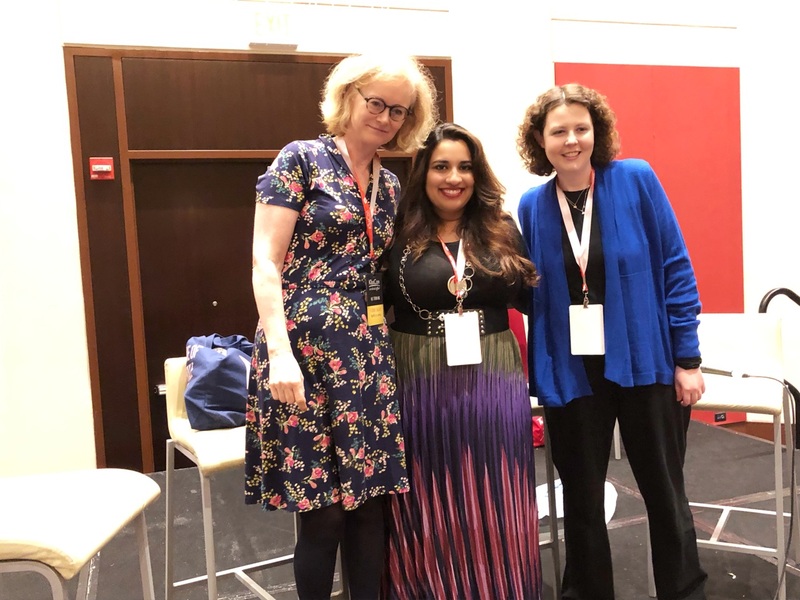 Eloisa James, Alisha Rai, and Jennifer Estep led a lively, and drool-inducing, session called Taste of Romance. I want to eat at their houses! 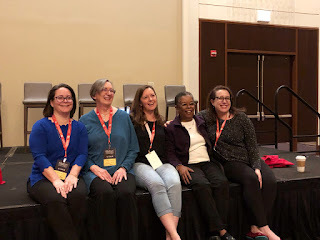 Jennifer Ryan, Lorraine Heath, Caroline Linden, Beverly Jenkins, and Julia Quinn kept us entertained in the Family Affair breakout session. These ladies write some of the best families around! 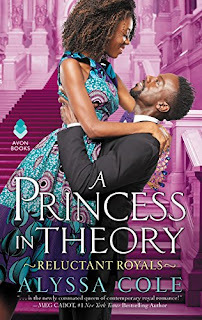 Stepping straight from the pages of her upcoming contemporary romance, A Prince on Paper, Alyssa Cole was stunning in the same outfit worn on the cover of her book. She wasn't the actual cover model but she sure could have been. You never know when you'll get hungry, right? 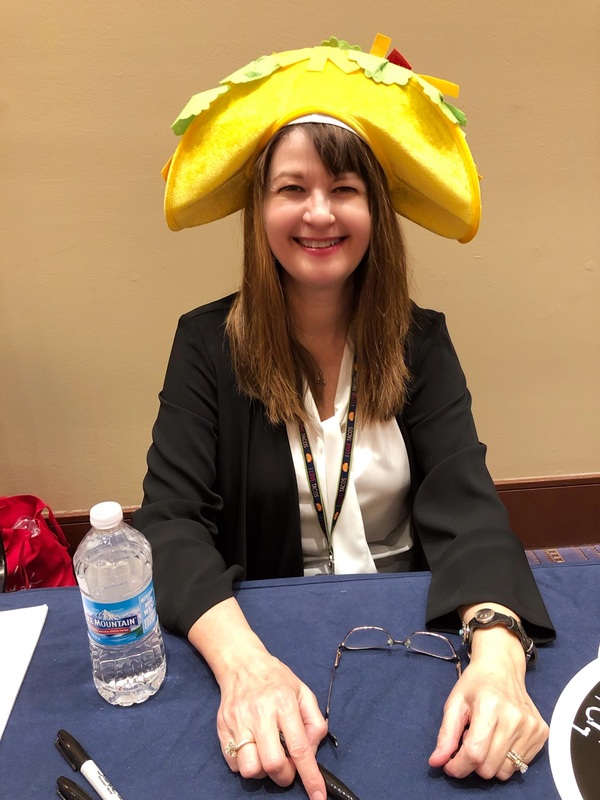 Not a problem for Lori Wilde; she brought lunch with her in the form of a taco hat! Sonali Dev is not only an exceptional writer, she's also one of the nicest women around. And funny. She'll have you smiling in no time. Speaking of funny - and nice - Sarah MacLean is high on the list of both. 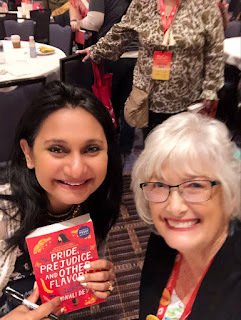 I adore this woman and her books. 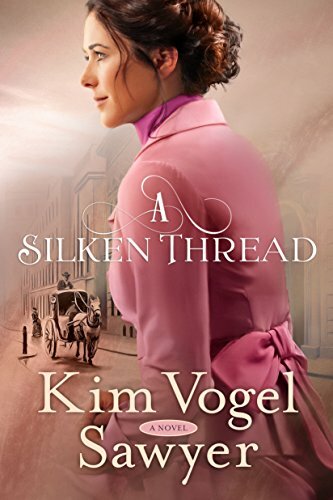 She's an outspoken advocate for romance and goes out of her way to show her readers how much she appreciates them. 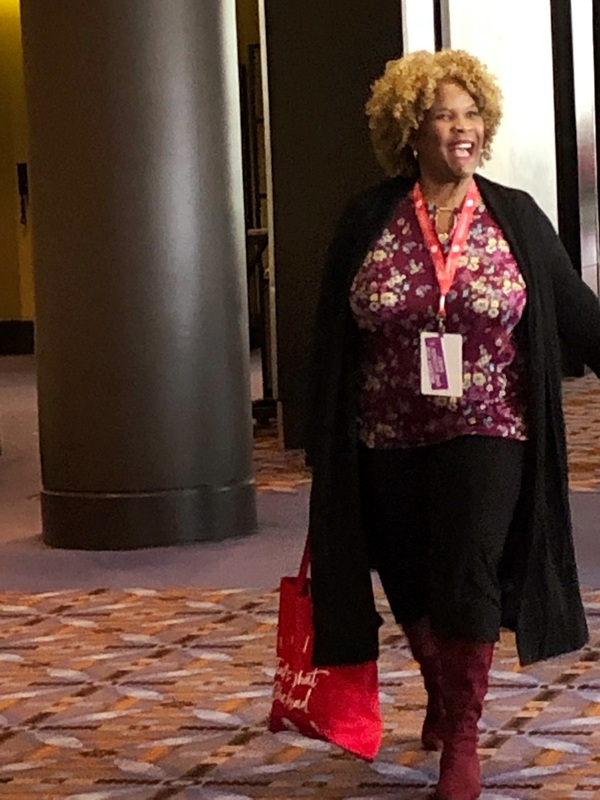 Brenda Jackson struts the book signing "red carpet" with confidence and sass. I'm enjoying her Catalina Cove contemporary romance series. Have you ever met a person who immediately makes you feel like you've known them forever? Here are two of them. Cat Sebastian and Eva Moore. 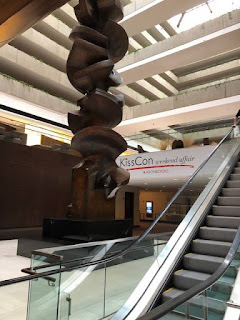 Those are a few of my photo highlights from KissCon Weekend Affair in Chicago. Avon hasn't announced yet if they're going to do this again but I'm hoping they will. It's a weekend of fun I highly recommend. Where would you like to see Avon hold a KissCon Weekend Affair? 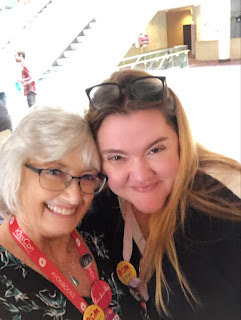 Which Avon and Harlequin authors would you most like to meet? The Infamous Duchess is a five star book in Sophie Barnes’ Diamonds in the Rough series. Viola Cartwright is the Dowager Duchess of Tremaine who upon her husband’s death and generosity is able to establish St. Agatha’s Hospital. To the ton and his son she is branded as a golddigger when her only wish was to provide care to the citizens of London and to be left alone. She is able to ignore the jabs since she never wanted to be a part of that society. And so, with the help of Dr. Florian Lowell - late the Duke of Redding - she has been able to do just that until two events serve to knock into her. 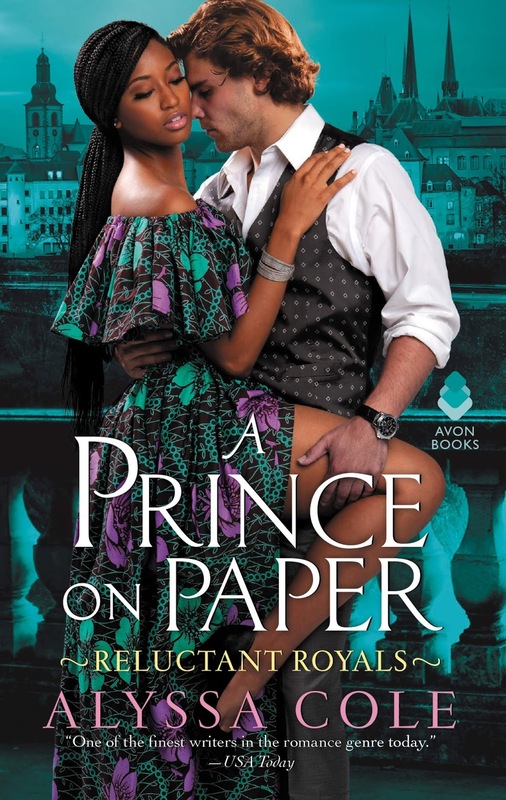 Just as her step-son Robert,the present Duke of Tremaine, decides to slash his cobra’s tongue from the West Indies in an effort to kill her dreams and take everything from her, Florian rushes in with his older brother Harry Lowell who seems to have a penchant for having violence visited upon him. He has just been shot in a duel. Viola sets about assisting Florian in performing surgery on Harry to remove a bullet from his shoulder. Thanks to her father’s instruction Viola is, to put a modern term to it, an exceptional physician’s assistant. 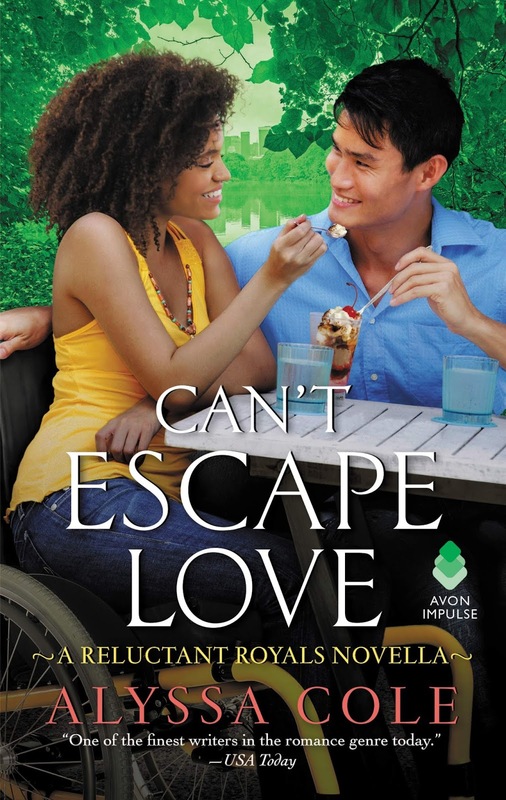 Harry’s recovery depends on the skill of these two people; a brother he dearly loves and a woman who is about to change everything in his life. Harry is a very determined and a complicated man. From the moment he discovers Viola taking care of him he is enthralled. He persuades her to care for him exclusively. Viola takes his flirtations as just that because he is known as a rake. But Harry is more than meets the eye and he is determined to convince her otherwise. I really enjoyed this book. It was fun to see some of the characters from the other books in the series appear here. As soon as I finish a Sophie Barnes book, I find myself smiling and looking forward to her next book. That, my friends, is a clear sign of an auto-buy author for me. I will choose new winners. Brimming with originality, this novella features engaging characters I couldn't help but cheer for, a depth of emotion typically only found in full-length books, the imperfections that make all of us unique, and the joy experienced when we find that person who not only accepts but celebrates us for who we are. 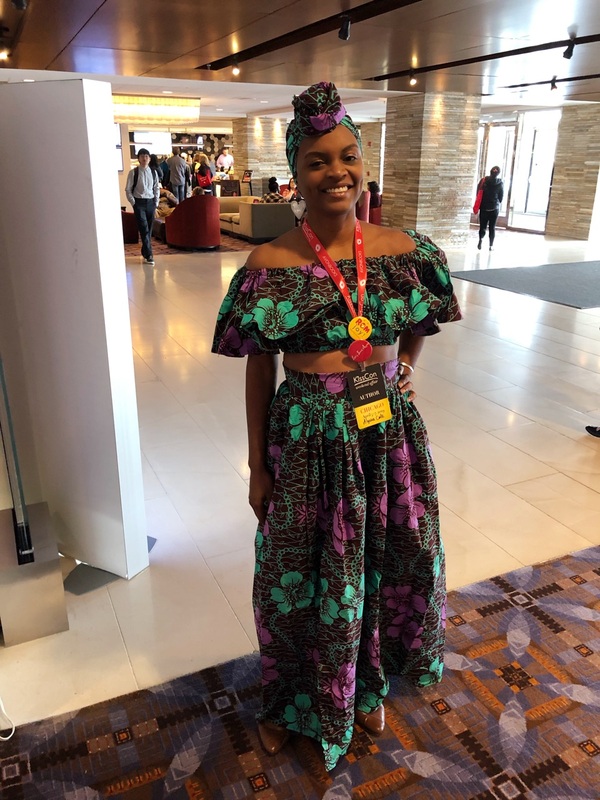 Reggie is a brilliant business owner, sci fi and anime geek, "good" twin, and over-achiever who also lives with an illness-induced disability that requires her to use a wheelchair - but does not define her. Gus, a former podcaster, is an emotionally challenged, super nerdy designer of escape rooms who lives on the autism spectrum and possesses a soothing voice that Reggie needs to calm enough to sleep. And I am the non-nerdy reader old enough to be their grandmother, who would be hard pressed to name a sci fi character or anime movie, who absolutely adored them. 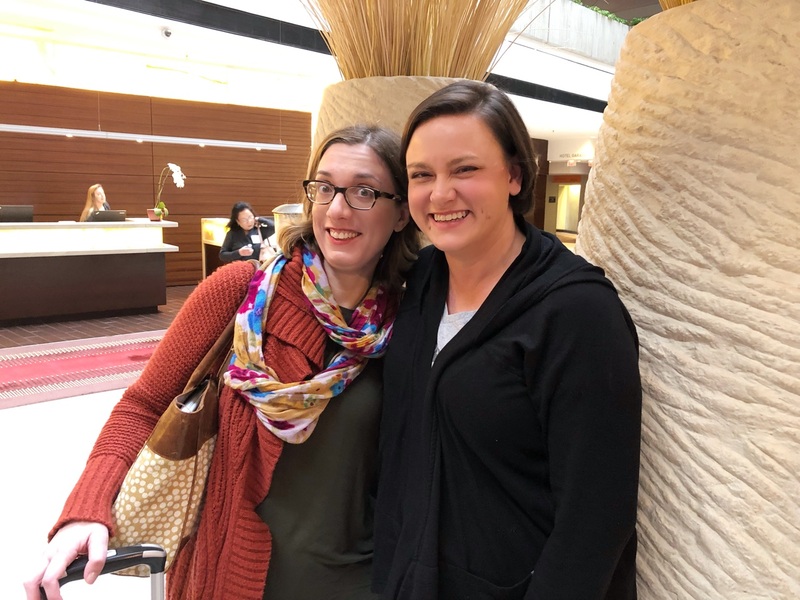 Thus is the brilliance of Alyssa Cole's writing and her ability to fully immerse readers into the hearts, minds, and lives of her unforgettable characters and the journeys of her imagination. Begin with Can't Escape Love. 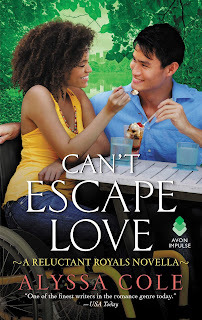 Move on to the other stories in the Reluctant Royals series. I can't recommend them highly enough. Have you read Alyssa Cole's books yet? Have you "met" any nerdy, quirky, and adorably awkward romance characters who captured your attention and affection? 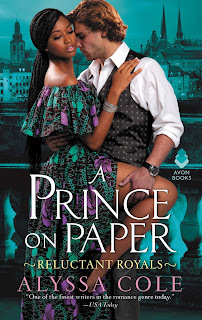 One person who posts a comment before 11:00 PM (Eastern), April 18 will receive a signed print copy of A Prince on Paper, the third full-length book in Cole's Reluctant Royals series - which won't be released to the public until April 29! Seeing Jessica triggers emotions Hugh has tried to forget. Abandoned by his mother to foster care, he still struggles to feel worthy of love and to open his heart to a woman. His biggest mistake was not trusting Jessica. It was his fault she left. All he wants now is to make up for lost time. But he has to prove that she can trust him. Though the sparks still smolder, he’s still Hollywood—a world far away from Jessica’s. Now it’s up to her to give their love story a happily ever after. Nancy Herkness brings readers another heart-tugging story of second chances in her newest novel, Second Act. I had serious doubts that she could ever create a hero who would equal Luke Archer (The All-Star Antes Up) in my affections but dang if she hasn't done exactly that with Hugh. And then, she went and gave him a heroine in Jessica who not only earned my respect and admiration but notched her own place in my heart. I cheered so hard for these two. When you pair a financially struggling, Harlem veterinarian with a billionaire movie star you'd think Hollywood (Hugh) would hold all the power. I love that Herkness flips the script. Hugh may have the money and connections but Jessica has the emotional strength. Hugh may be the mega-successful movie star but, deep in his core, he's still the unwanted foster kid, abandoned by the people who were supposed to love him. There are vulnerabilities in Jessica as well. Both were hurt in their past relationship, both need to open their hearts and be honest with themselves, and one another, if they have any hope of finding their happily ever after. Herkness skillfully leads them through their journey with humor, passion, forgiveness, and acceptance. I admired Jessica's dedication to her patients, to the K-9 Angelz program, and the at-risk kids she works with. I enjoyed unraveling Hugh to discover the caring heart he keeps well protected. And I adored them together. I was with them every step of their journey. Surrounding Jessica and Hugh are a cast of well-crafted characters - both two and four legged - who add an undeniable richness, humor, and depth of emotion to the story. 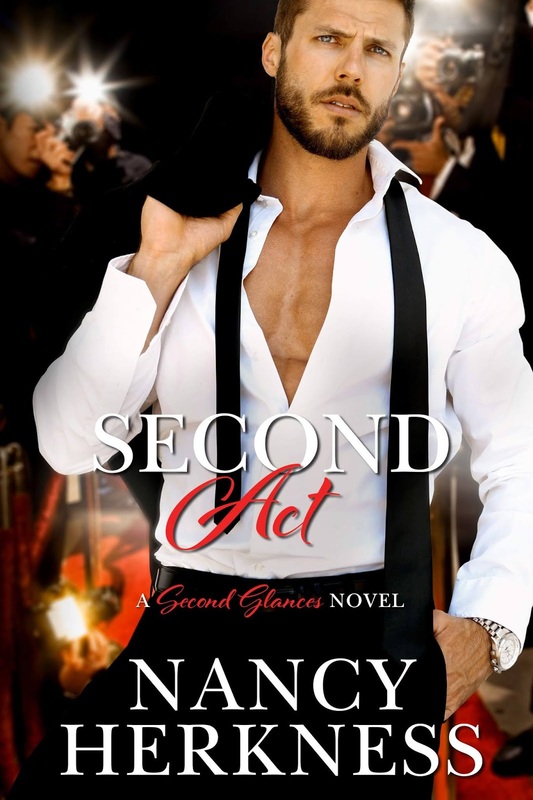 Readers new to this series will have no problem reading Second Act on its own but fans of the series - and the previous Wager of Hearts series - will no doubt be excited by guest appearances of prior heroes and heroines. The conversations between Hugh and Gavin (hero of The VIP Doubles Down) are especially enjoyable. If you're looking for a contemporary second chance romance with humor, heart, and sizzle, likable characters, adorable rescue animals, and a sigh-inducing, well-deserved, HEA, I enthusiastically recommend Second Act.